This gorgeous figurine is based upon the artwork of Amy Brown! 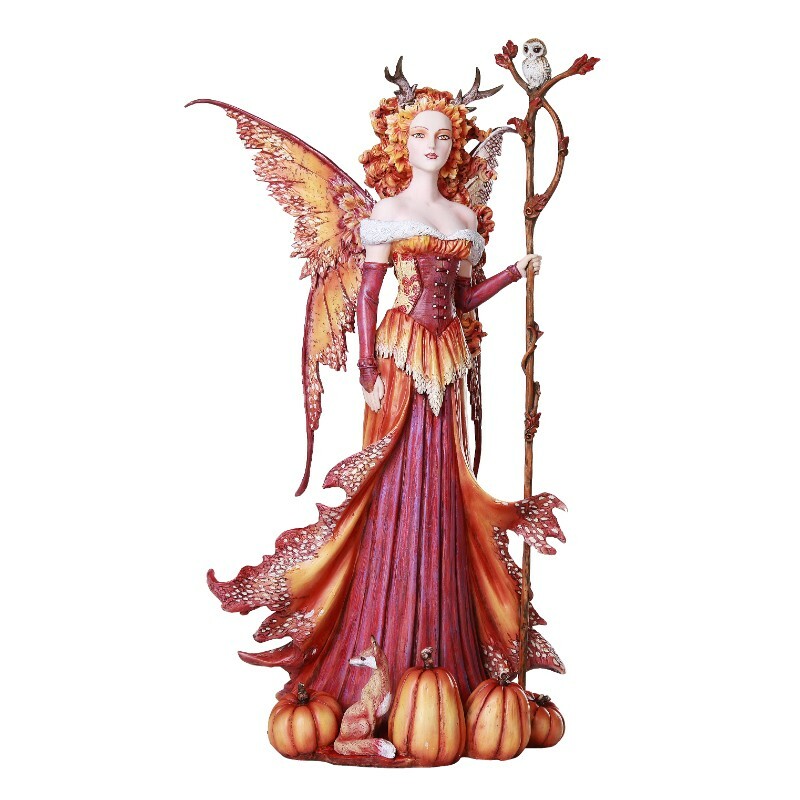 It's perfect for fall, and features a lovely fairy dressed in shades of orange and red, with hair that resembles falling leaves! She holds a tall branch staff at the top of which perches an owls, and pumpkins sit at her feet. A little fox companion completes the figurine! 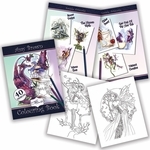 A great autumn collectible! Size: 10" x 6 7/8" x 17 3/8"